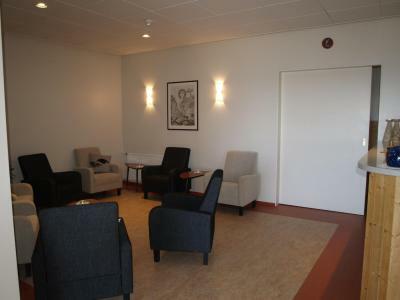 Lock in a great price for Hótel Flókalundur – rated 8.8 by recent guests! Convenient to ferry. Peaceful and quiet. Staff was great. Dinner there twice was delicious - fresh fish, wonderful soups. Breakfast buffet offers plenty of options. (Wonderful bread.) Beautiful views. Comfortable beds. Hot spring was perfect end to the day. Would definitely stay again. The staff was very friendly and kind to our 16 month son. The location was beautiful; the breakfast buffet was adorable; the room was small but comfortable; the staff was fantastic! Super clean. Fresh bed linens. Good beds. Great restaurant. Nice staff. Loved the location! Clean and simple, fresh and open! Walking trails in the immediate vicinity were great for a non-athlete like me and Hellulaug was a dream come true! Proprietor found a room with terrific view, even though it looked like none was available... much appreciated! It is close to the ferry. Our room was comfortable and quiet. The staff was friendly and efficient. 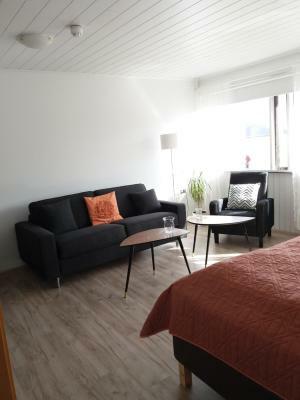 A beautiful small hotel, clean and comfortable rooms are a little small but functional,excellent breakfast and evening meals great selection from pizza and hamburgers through to lamb, local salmon and vegetarian and vegan options all well priced. 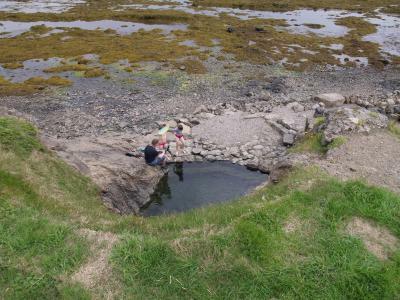 Hotel also provides at no extra cost cozy robes and towels for the Hellalaug, the natural hotpool nearby. We also had a load of laundry done, whilst not cheap put in at 9pm and back by 8 am next morning. The staff was amazingly friendly The restaurant had a very nice bar. There is a natural bathing pool just a few meters down the street that is heavenly...located right on the seashore and the hotel will give you a towel and robe to use! Very spacious (more than we needed). 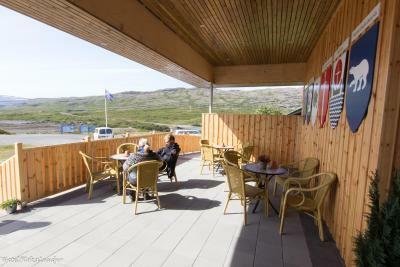 Set in Iceland’s Westfjords district, this hotel offers an in-house restaurant and basic rooms with free Wi-Fi access. 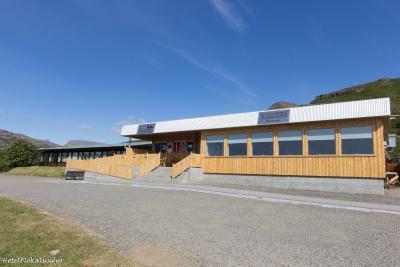 Brjánslækur ferry terminal is a 5-minute drive away. 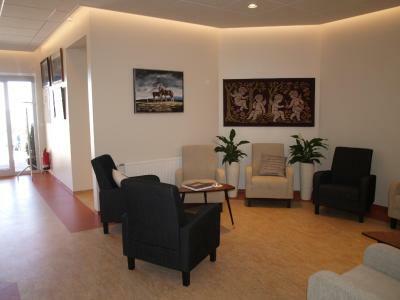 A seating area and a private bathroom with shower feature in all rooms at the family-run Hótel Flókalundur. 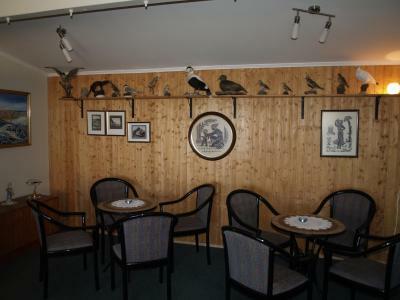 Meals can be enjoyed in the restaurant and drinks are served in the hotel bar. Basic groceries can be bought in the on-site shop. Guests have access to a communal TV lounge and a shared terrace. 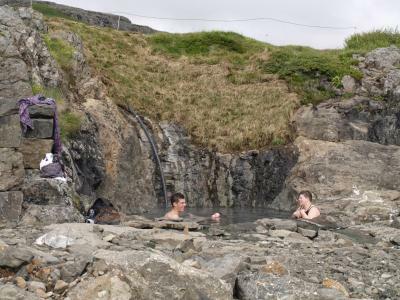 Guests can swim in a geothermal hot spring, 1,300 feet from Flókalundur Hótel. The Dynjandi waterfall is 22 mi away. Ísafjördur town center is 2 hours’ drive away. 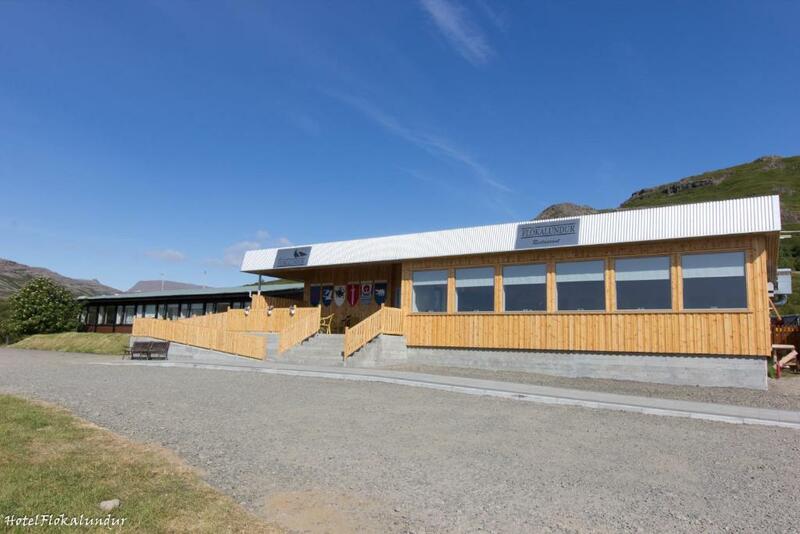 This property also has one of the top-rated locations in Brjánslækur! Guests are happier about it compared to other properties in the area. 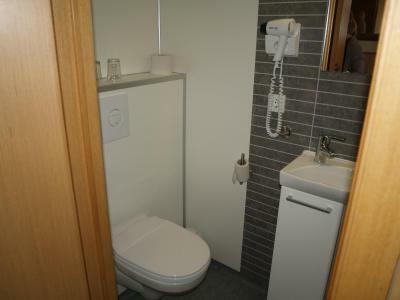 This property is also rated for the best value in Brjánslækur! Guests are getting more for their money when compared to other properties in this city. 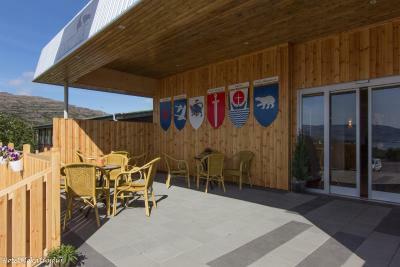 When would you like to stay at Hótel Flókalundur? 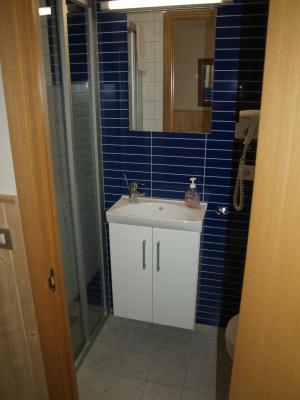 This spacious room features upgraded décor, a seating area and a private bathroom with shower and hairdryer. House Rules Hótel Flókalundur takes special requests – add in the next step! All children under 2 years are charged EUR 29 per person per night in a crib. Hótel Flókalundur accepts these cards and reserves the right to temporarily hold an amount prior to arrival. Please inform Hótel Flókalundur of your expected arrival time in advance. You can use the Special Requests box when booking, or contact the property directly using the contact details in your confirmation. 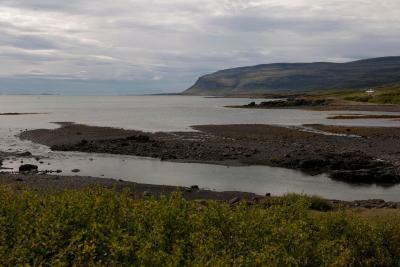 Good location, with natural hotpot just a few minutes by foot. Free bathrobes and towels for a visit at the hotpot provided. Gas station and free car wash facilities at location. I loved the place and didnt want to leave! Staff was wonderful. There is also a little store and a petrol station. This is about 90 minutes from the bird cliffs, but warning, you need good tires across bad roads most of the way. It is also only 30 minutes from Dynjandi Falls. Curtains/blinds could have been better for summer when it light the whole time. I enjoyed the breakfast looking out over the horizon, albeit a limited range but you can't expect too much somewhere remote like this! The staff were very friendly and it was great to be able to wander down to the hot pool in the evening. 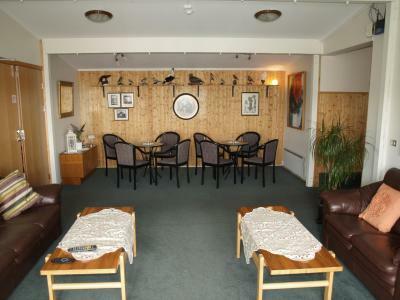 The room was nice - comfortable and clean, while the small communal area was also comfy to relax in. The staffs are helpful and friendly, the room is even nicer than the pictures shown, super clean and tidy, bed is comfy and food is great at the restaurant! Excellent stay!